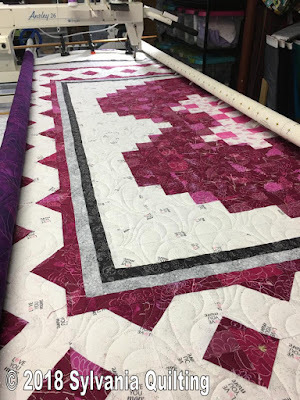 Joanne E. made this beautiful "Hugs 'n Kisses" quilt. She chose a silver metallic thread and used the quilting pattern called Dangerous Water. 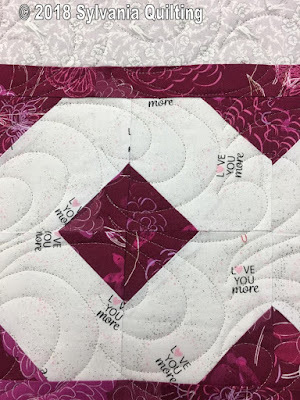 If you look closely on the quilting picture, you'll see that the white fabric that Joanne used for the background says "love you more". 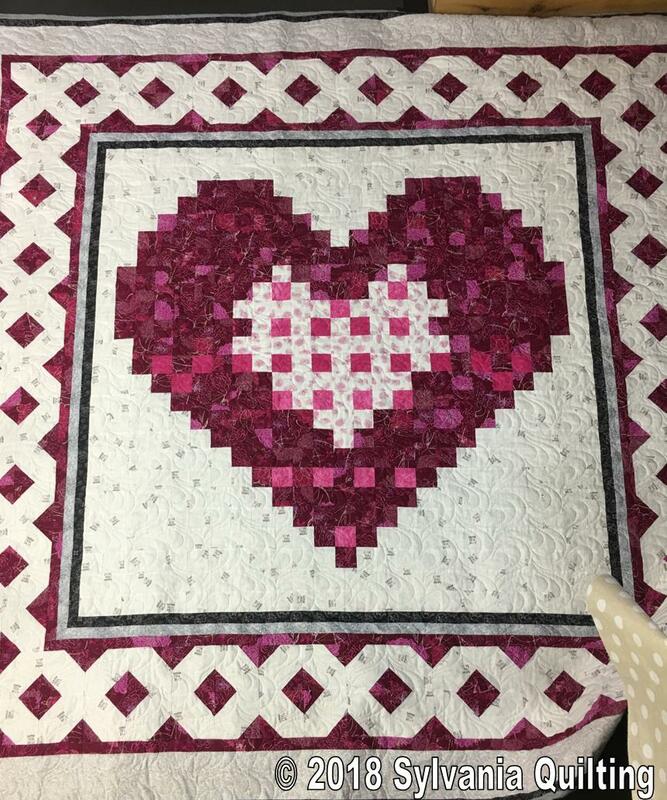 Such a pretty quilt.